The most common ticket issued at universities is minor in possession or consumption of alcohol (MIP). All 50 states have similar laws making it illegal for anyone under 21 to possess or consume alcohol. 29 states allow underage drinking if at your residence with your parent. 26 states allow for religious purposes. 11 states allow for educational reasons.10 states allow consumption while at bar or restaurant with parental approval. In the state of Michigan a conviction carries with it driver license sanctions in addition to court ordered services and programs. Michigan, has a deferral statue that after successful completion allows the minor to avoid criminal conviction 436.1703 (3) When an individual who has not previously been convicted of or received a juvenile adjudication for a violation of subsection (1) pleads guilty to a violation of subsection (1) or offers a plea of admission in a juvenile delinquency proceeding for a violation of subsection (1), the court, without entering a judgment of guilt in a criminal proceeding or a determination in a juvenile delinquency proceeding that the juvenile has committed the offense and with the consent of the accused, may defer further proceedings and place the individual on probation. Avoiding the ticket: The most obvious answer is not to drink or posses alcoholic beverages if you are under the age of 21. 1) Most students who end up with an minor in possession ticket are observed walking with containers, cans or water backs during tailgating or off campus parties. 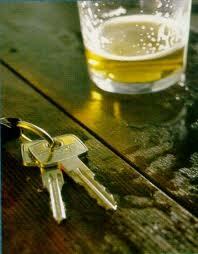 2) Do not transport open or closed alcohol in a motor vehicle. If, you are operating a vehicle in your parents name, you can and will be charged with minor in possession. Additionally, you will be found to have dominion and control of the vehicle and thus all that is contained therein. 3) Your body serves as a container, therefore, if you are walking down a public street with signs of intoxication, an officer will find probable cause to approach and question you out of public safety concerns. You can be detained until you sober up. Even if you are not found carrying open alcohol, if the officer observes signs of intoxication you will receive an MIP. 4) Look out for each other. Friends do not allow friends to drink and drive. Same holds true with other illegal activities such as minor in possession of alcohol. 5) You can tailgate and enjoy life without consuming alcohol. If you think happiness and enjoyment are dependent on alcohol consumption, you are wrong. 6) Become a leader not a follower. When your friends want you to do something illegal, ask yourself the following: If arrested will they bail me out? Are they going to appear in court and pay my court costs? Will they do my community service? When my criminal history reflects a conviction are they going to offer me a job 5 years from now? The answer to all the above is NO!!!! THE BEST WAY TO AVOID BREAKING THE LAW IS NOT TO DO IT. 436.1703 Purchase, consumption, or possession of alcoholic liquor by minor; attempt; violation; fines; sanctions; furnishing fraudulent identification to minor; prior violation; screening and assessment; chemical breath analysis; notice to parent, custodian, or guardian; exceptions; definitions. a) For the first violation by a fine of not more than $100.00. A court may order a minor under this subdivision to participate in substance abuse prevention services or substance abuse treatment and rehabilitation services as defined in section 6107 of the public health code, 1978 PA 368, MCL 333.6107, and designated by the administrator of the office of substance abuse services, and may order that minor to perform community service and to undergo substance abuse screening and assessment at his or her own expense as described in subsection (5). (b) For a second violation of this subsection, section 33b(1) of former 1933 (Ex Sess) PA 8, or a local ordinance substantially corresponding to this subsection or section 33b(1) of former 1933 (Ex Sess) PA 8, by imprisonment for not more than 30 days but only if the court finds that the minor violated an order of probation, failed to successfully complete any treatment, screening, or community service ordered by the court, or failed to pay any fine for that conviction or juvenile adjudication, by a fine of not more than $200.00, or both. A court may order a minor under this subdivision to participate in substance abuse prevention services or substance abuse treatment and rehabilitation services as defined in section 6107 of the public health code, 1978 PA 368, MCL 333.6107, and designated by the administrator of the office of substance abuse services, to perform community service, and to undergo substance abuse screening and assessment at his or her own expense as described in subsection (5). (c) For a third or subsequent violation of this subsection, section 33b(1) of former 1933 (Ex Sess) PA 8, or a local ordinance substantially corresponding to this subsection or section 33b(1) of former 1933 (Ex Sess) PA 8, by imprisonment for not more than 60 days but only if the court finds that the minor violated an order of probation, failed to successfully complete any treatment, screening, or community service ordered by the court, or failed to pay any fine for that conviction or juvenile adjudication, by a fine of not more than $500.00, or both. A court may order a minor under this subdivision to participate in substance abuse prevention services or substance abuse treatment and rehabilitation services as defined in section 6107 of the public health code, 1978 PA 368, MCL 333.6107, and designated by the administrator of the office of substance abuse services, to perform community service, and to undergo substance abuse screening and assessment at his or her own expense as described in subsection (5).